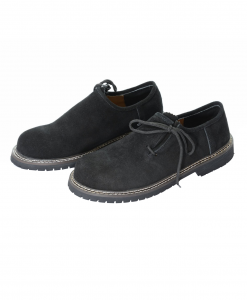 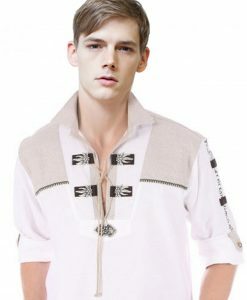 This traditionally subtle Bavarian Bundhosen in Wild Brown is made from 100% high quality suede leather. 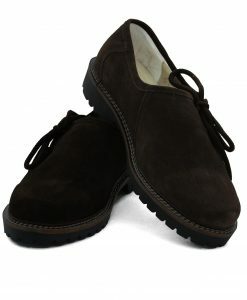 A soft appeal with these breaches in wild brown leather are appreciation deserving. 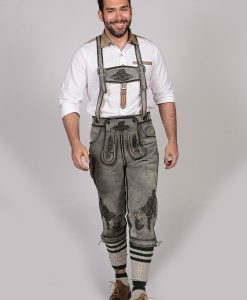 Intricate contrast stitching adds to an understated addition to the rustic charm of these ultra comfortable German lederhosen. 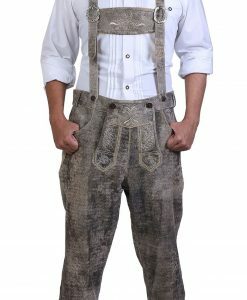 The ornamented embroidery featured on the bib and front with traditional horn buttons makes these trachten bundhosen a complete fit. 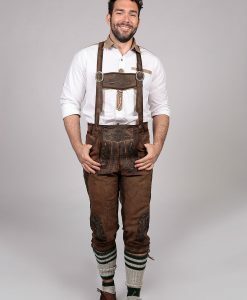 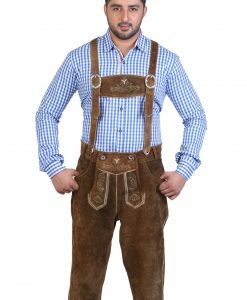 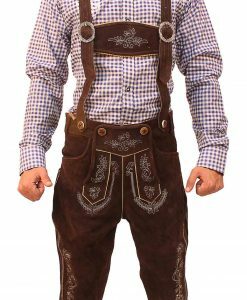 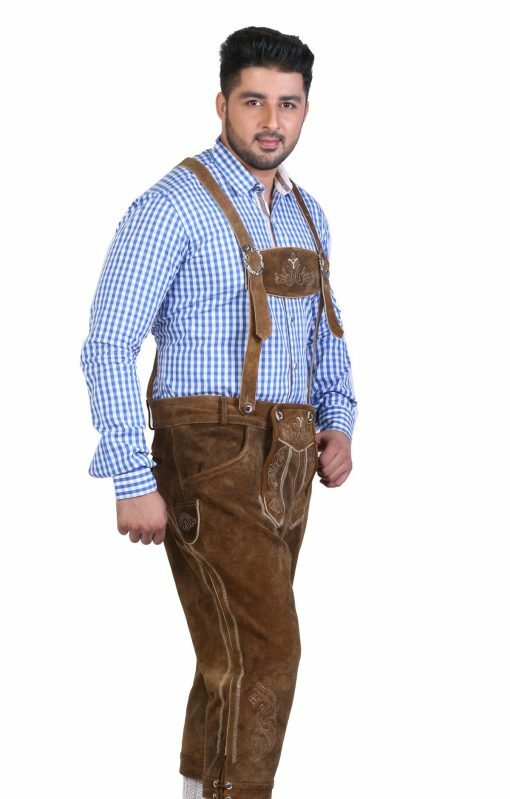 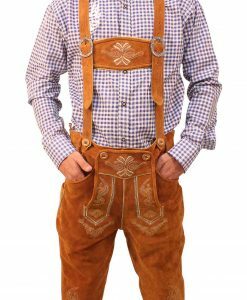 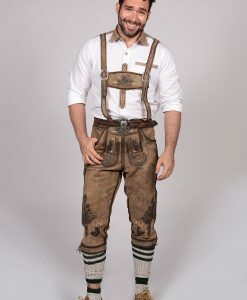 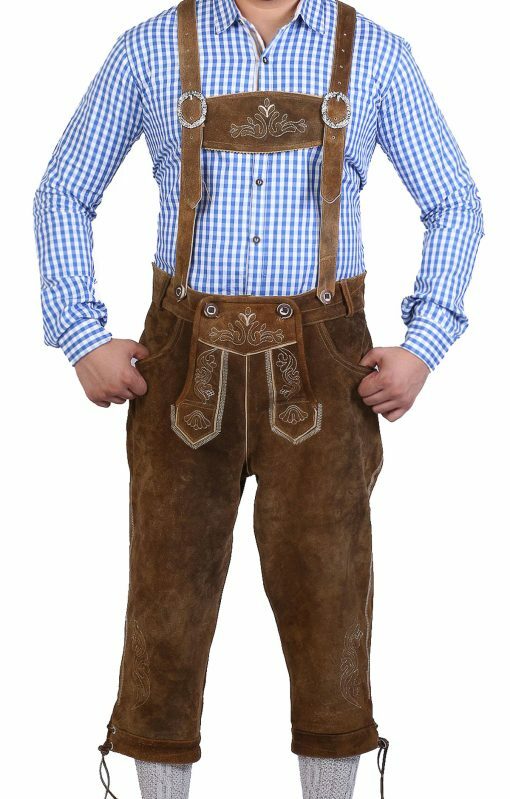 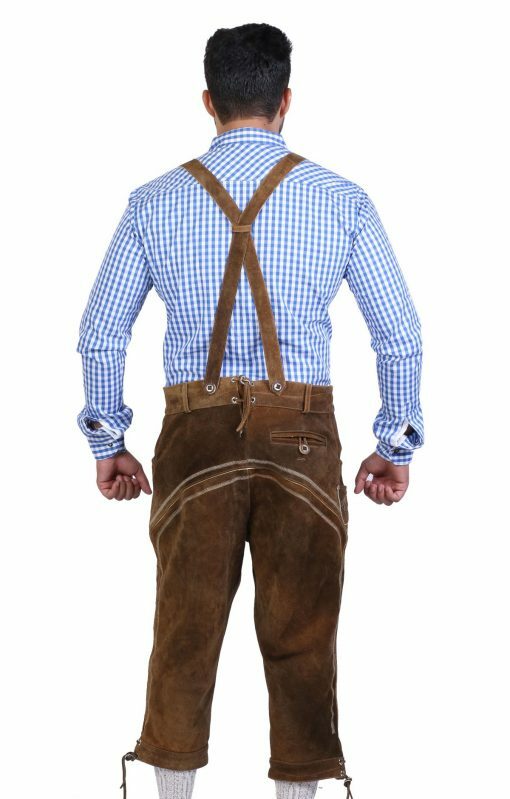 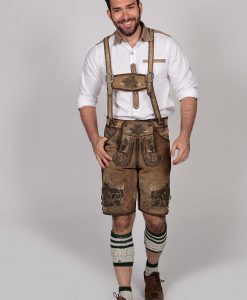 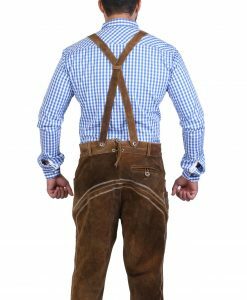 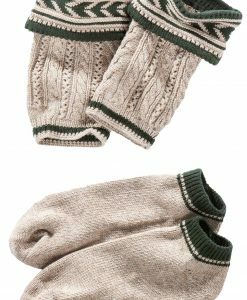 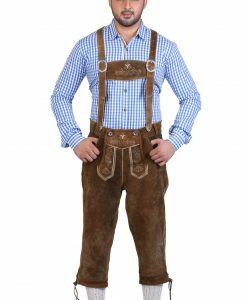 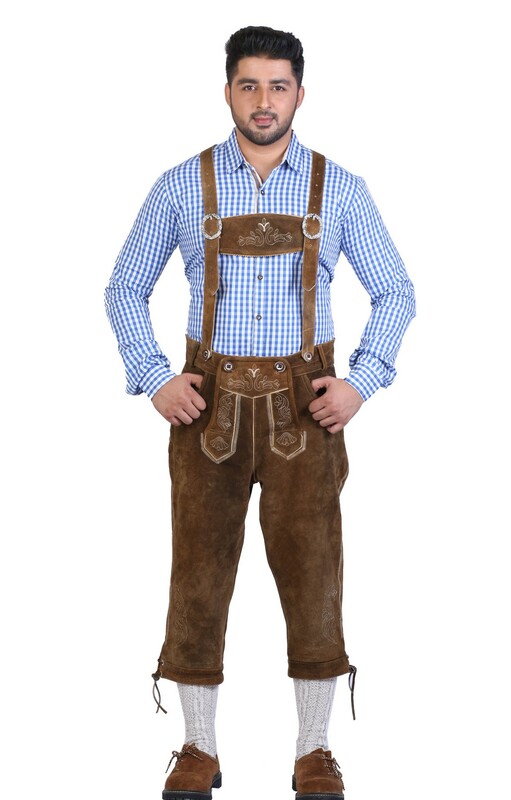 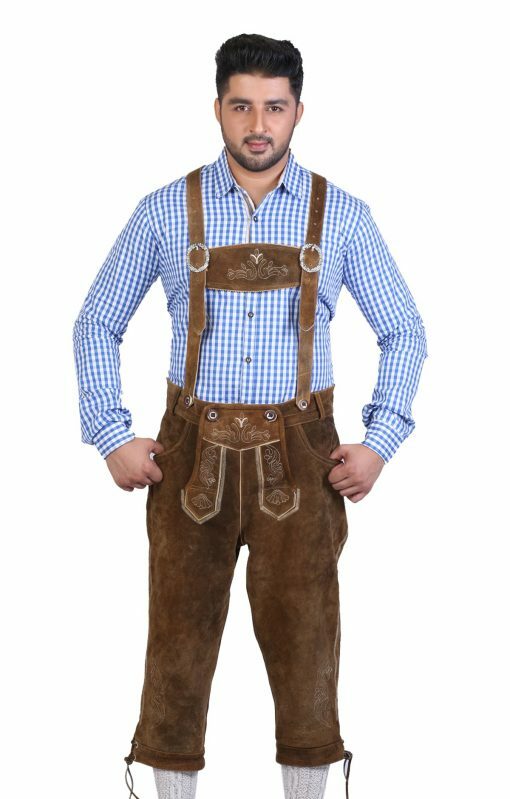 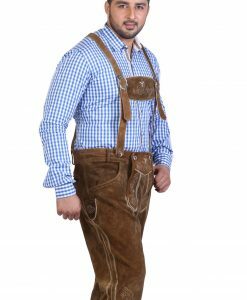 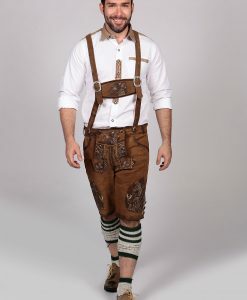 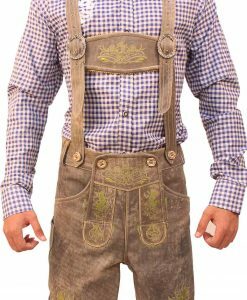 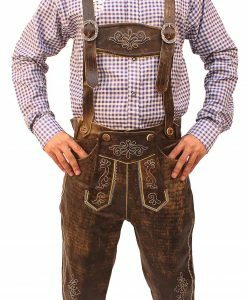 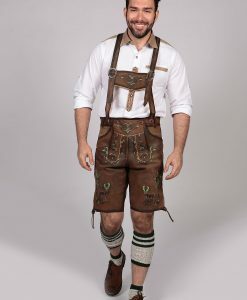 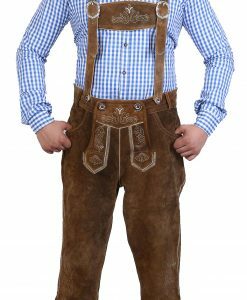 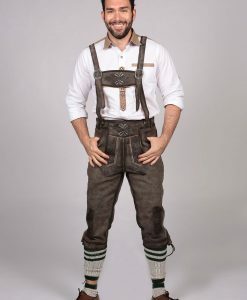 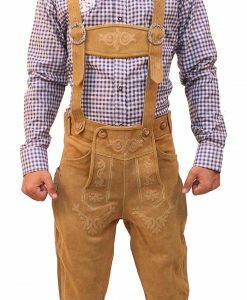 The adjustable straps also known as lederhosen suspenders allow adjusting the fitting of these traditional German lederhosen according to your height. 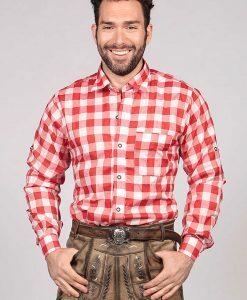 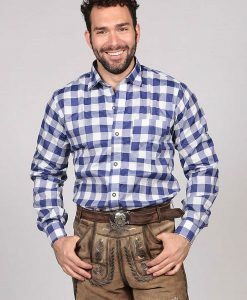 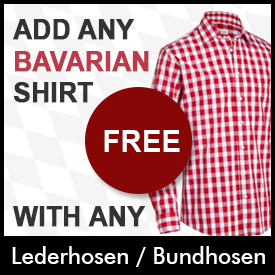 Put on a blue checkered shirt from our online store and youÂre ready in a complete Oktoberfest Outfit.